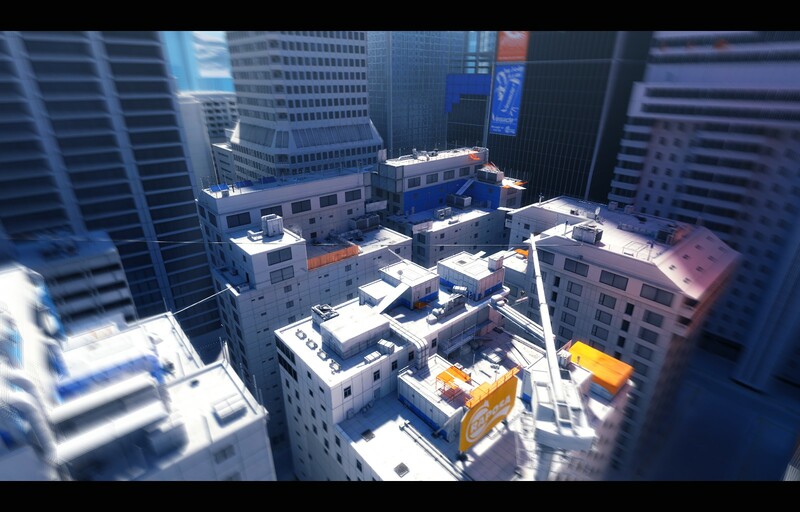 Mirror’s Edge was a game that broke boundaries; insofar that it created a unique way to traverse across the maps. You didn’t have to follow a specific path, but it certainly would help if you did. 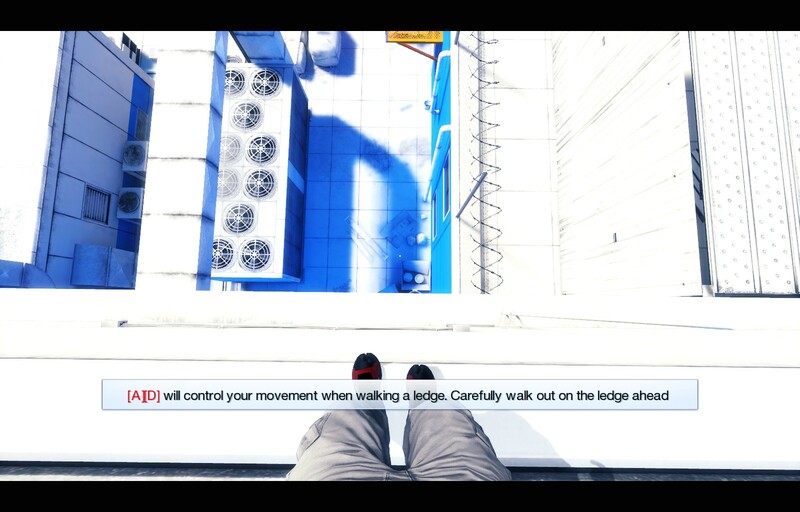 Many years on, we then got another addition to the Mirror’s Edge franchise, which wasn’t quite as well received. 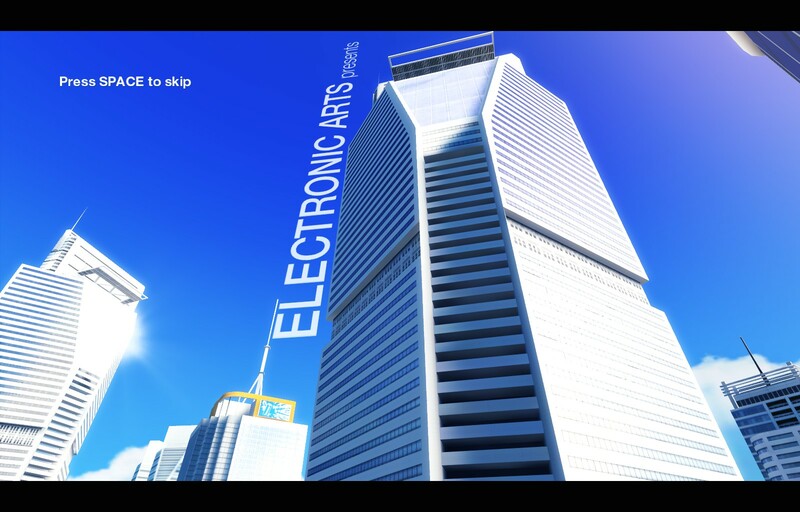 I decided to go back recently and replay through this EA Title released back in 2009 – Is it as good today as it was when it was first released? In a dystopian future, where the government reigns supreme, surveillance has reached an all-time high. Life is easy and it’s peaceful, but at what cost? With crime effectively eradicated, most normal people were happy to just live their lives in comfort. However, some people, the Runners, refuse to be monitored every waking day. These Runners deliver sensitive documents, effectively acting as couriers, to get their deliveries to their designated targets. 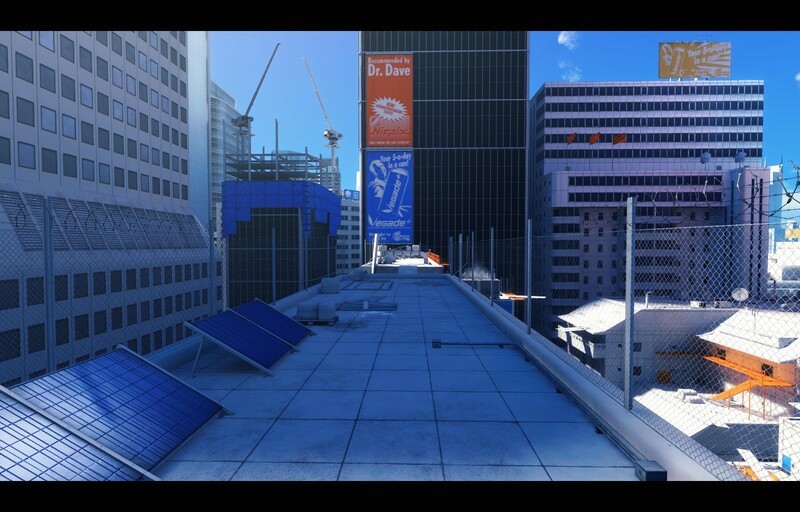 Mirror’s Edge doesn’t have the strongest story in the world, but the gameplay is great, albeit a bit short and somewhat of a trial-and-error nature. 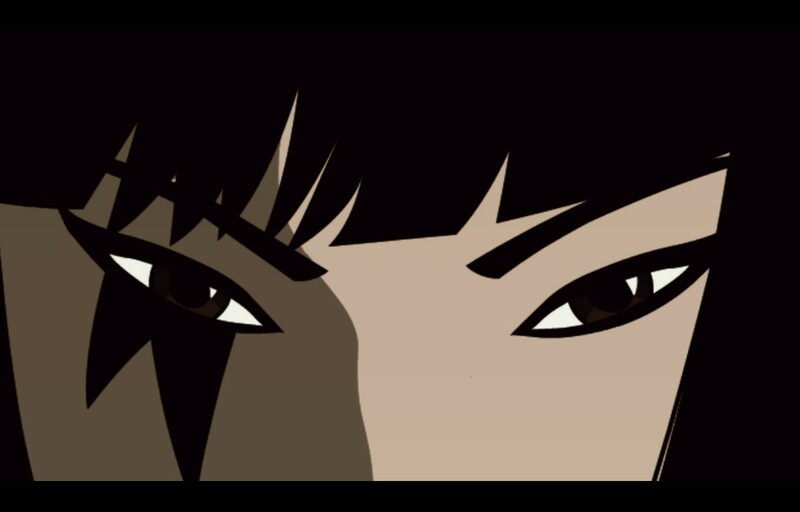 You play as Faith, a runner who delivers physical communications between rebellious, anti-establishment groups. 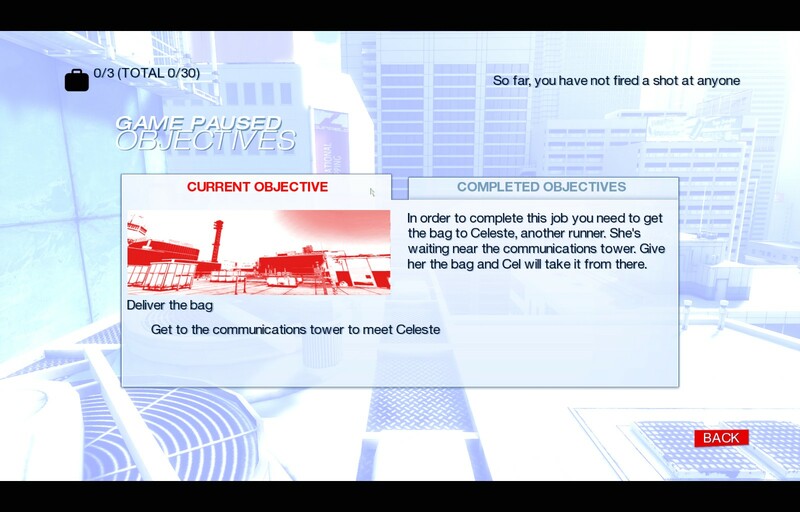 With the government overreaching and monitoring every bit of digital communication, Faith finds briefcases to deliver to her fellow Runners in hopes for a better future. 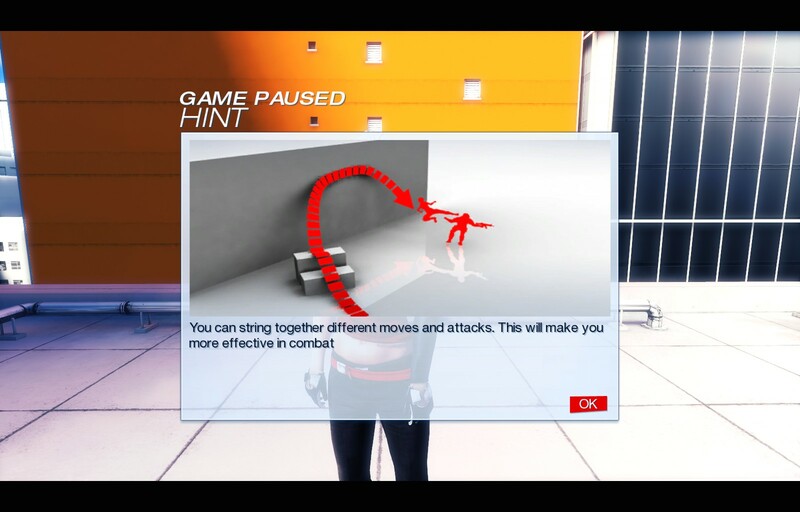 In Mirror’s Edge, you start with a skippable tutorial, although it’s a lot of fun practicing with the tutorial mode. 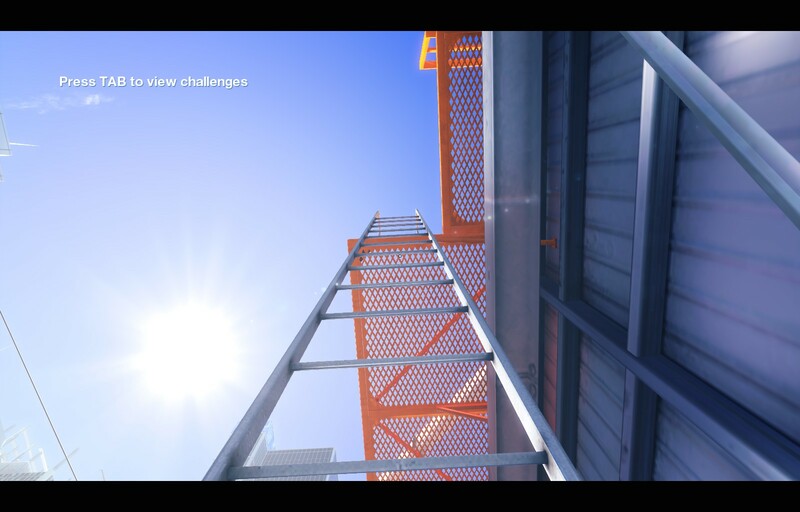 You learn how to move, jump, climb, scale, wall run, crawl and much more. You learn about how to deal with enemies, using a pacifist approach as opposed to a violent one. Conflict can be resolved by disarming your opponents, however it is possible to also shoot them once you have disarmed your foe. 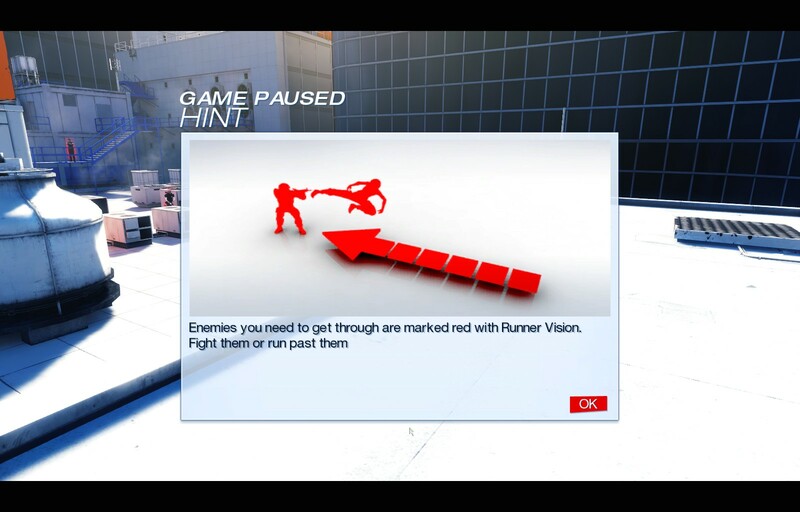 The red wall is typical of runner vision. 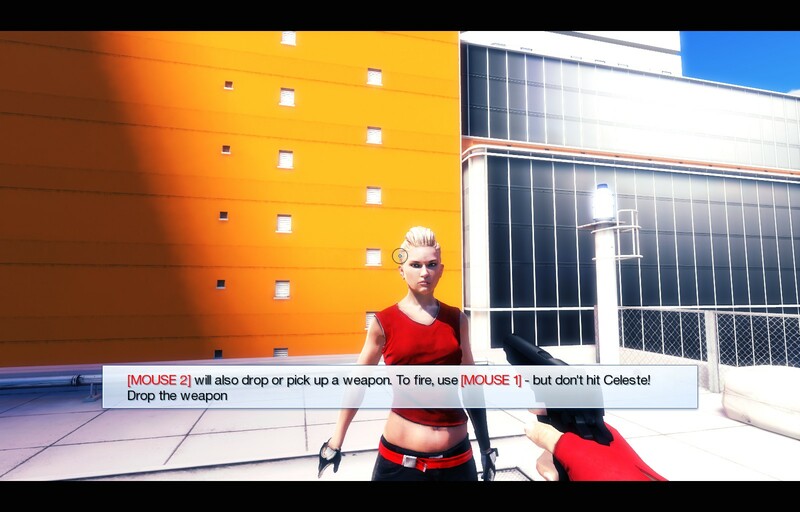 The game is well known for visual effects, which we’ll get onto in the graphics section – However, one point about the gameplay: the visual effects of the game feed into the gameplay. 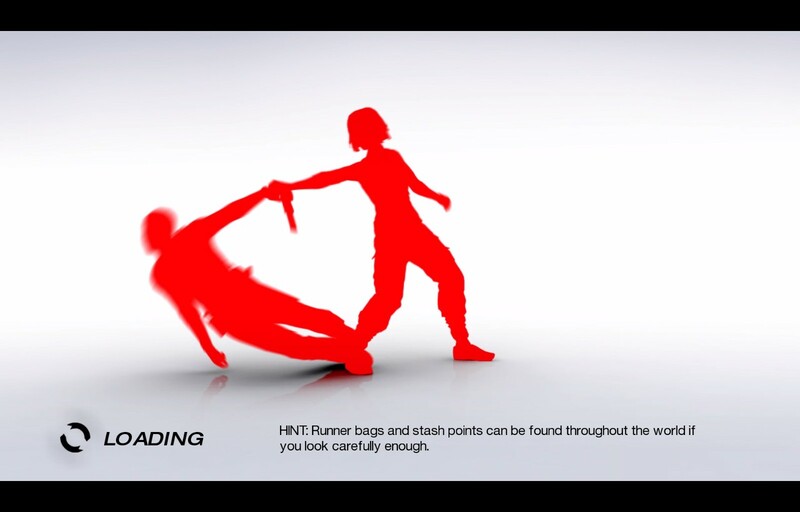 For instance, if there’s an optimal path, the bits that are recommended for running or climbing across are in red. They call this Runner vision. 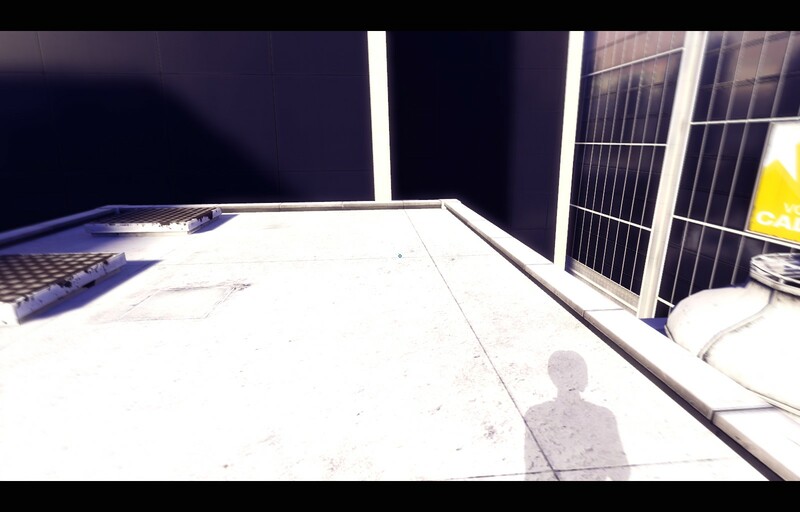 In some cases, it makes the game relatively linear, however it’s certainly an important visual cue. Perhaps they should have been slightly more subtle? 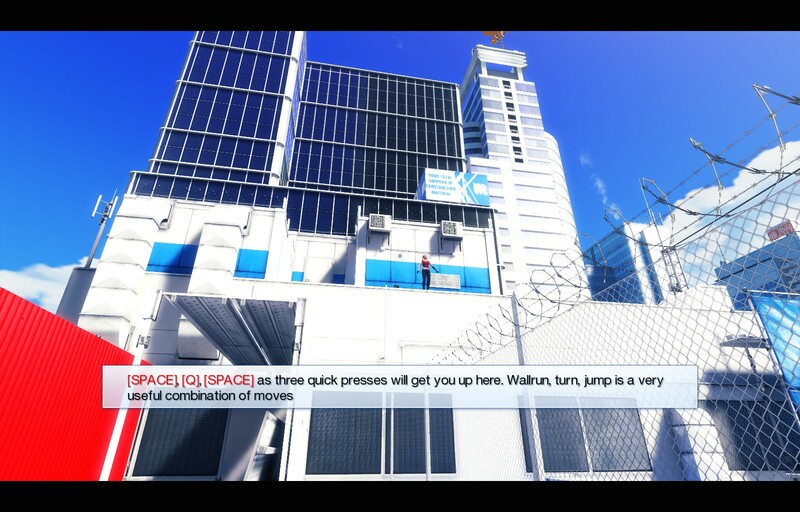 As an optional bonus, you can find Easter Eggs throughout, such as the Mirror’s Edge logo graffiti-ed over the walls. 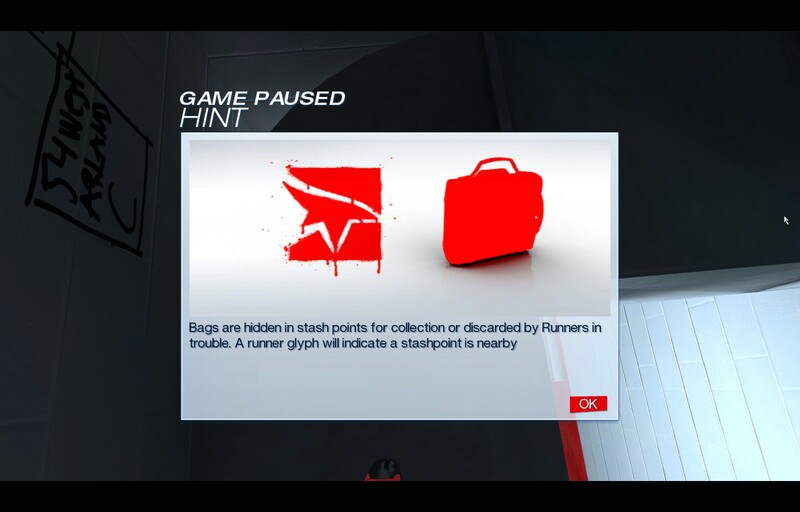 As well as this, by grabbing Runner Bags strewn throughout the game, you will unlock concept art and other unlockable bonus content. The game rewards exploration, though potentially not as much as it could do. Somewhat frenetic, but ultimately an easy to listen to soundtrack. 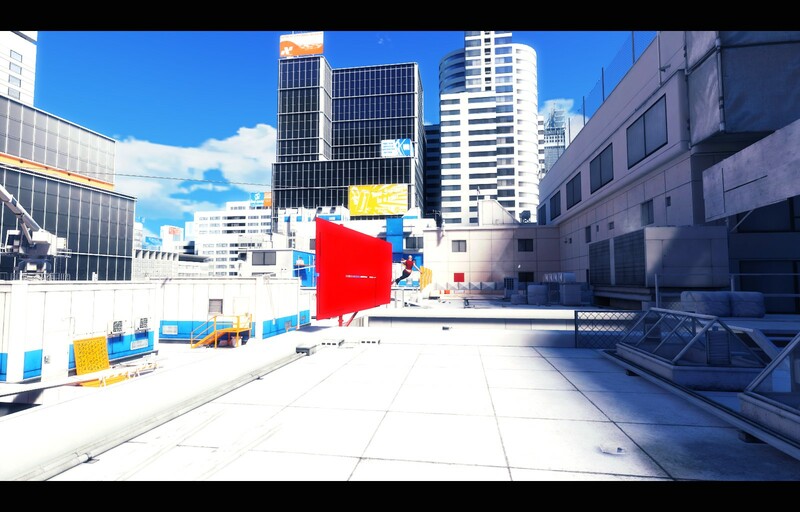 My problem with the Mirror’s Edge soundtrack is that it’s all rather samey. It blends in, though, to be fair, when the pace picks up, the music does too. 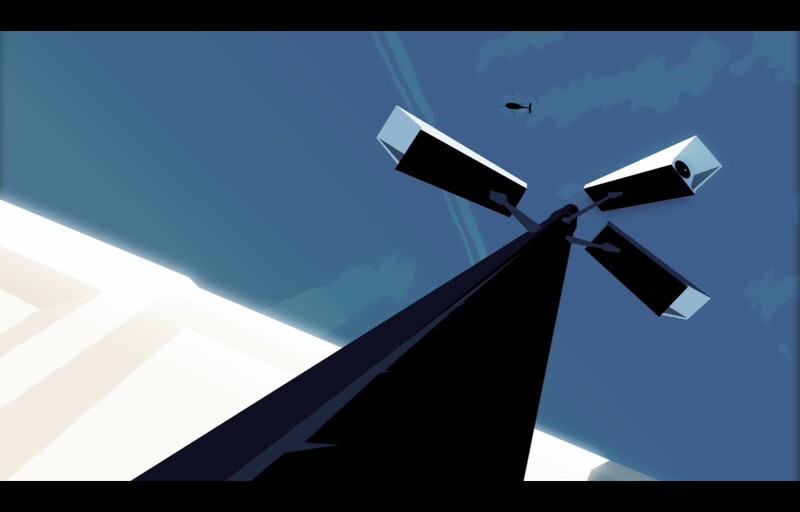 As an aside, as well as music, there is a man who talks to you throughout the game… And his voice sort of drones at you. It’s not too bad, but it’s somewhat annoying having him constantly bickering over a radio to Faith. Yes, he gives important information, but really, the radio effect on the voice doesn’t make for enjoyable listening. 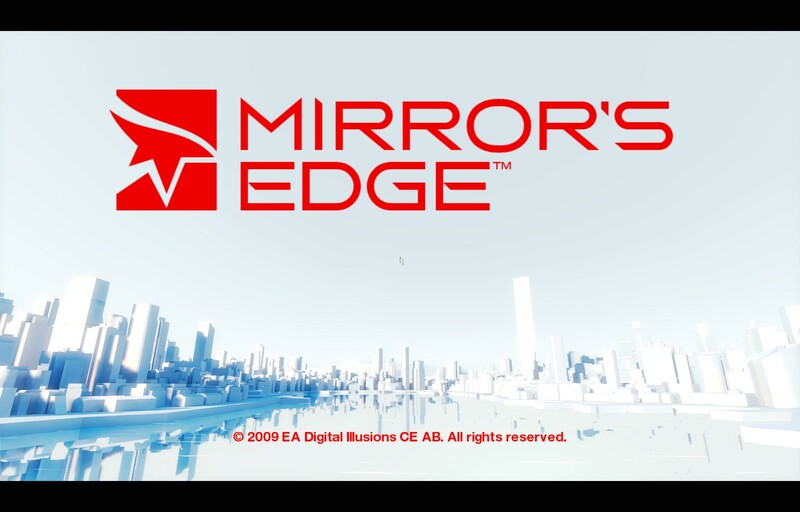 When Mirror’s Edge first came out, it was considered a groundbreaking title. 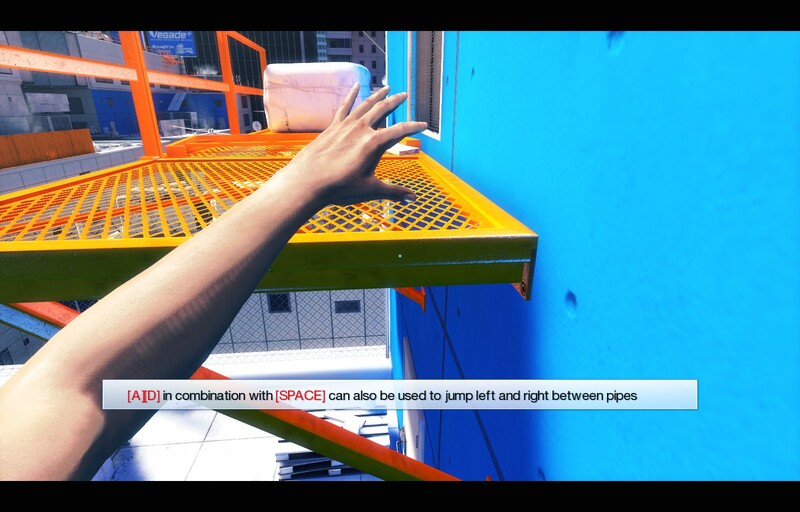 A game where the reward was greater for playing it like an extreme freerunner. 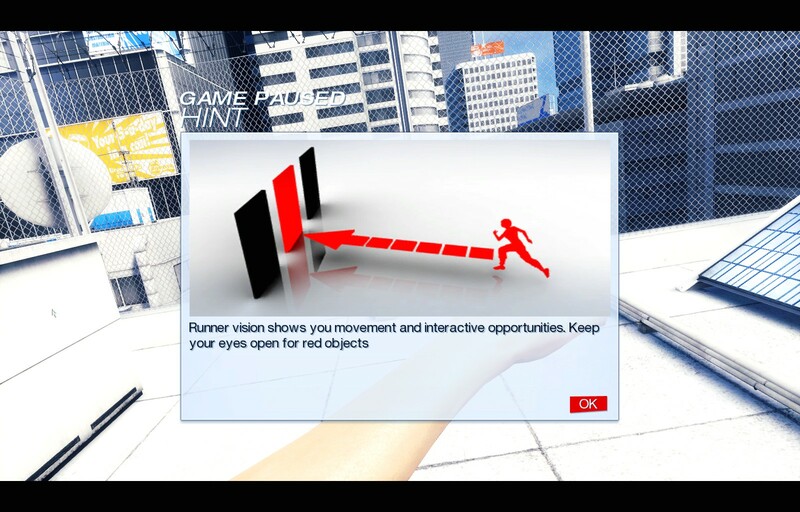 Freerunning is a hugely interesting sport, however Mirror’s Edge does indeed replicate a lot of real Freerunning. 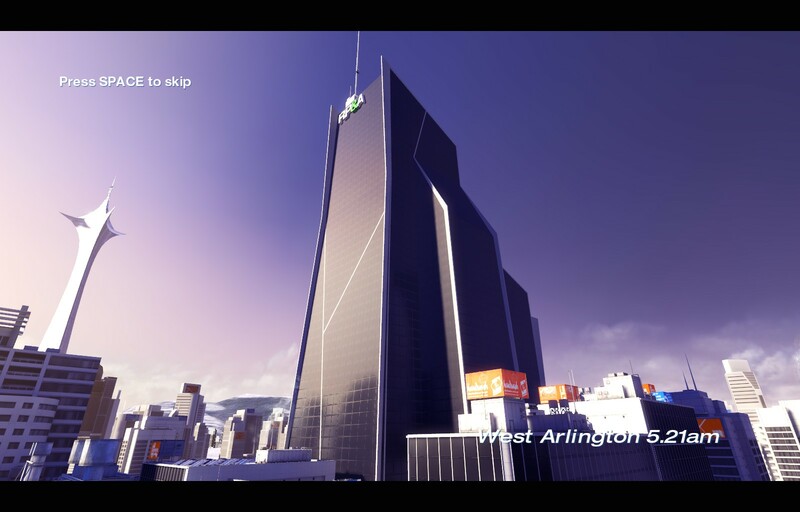 Sure, Freerunners aren’t normally running away from authorities and delivering hugely important packages to other runners, but hey – That’s why this is a game. It’s still hugely entertaining, but I can’t help but feel that the game isn’t as fast paced as I remembered it. I can’t shake this feeling that, perhaps, it was grander when it came out than it is now. However, the core gameplay is truly superb; a stunning game with lots of unique situations and, of course, rewards for exploration. If only there was more of that rewarding behaviour! 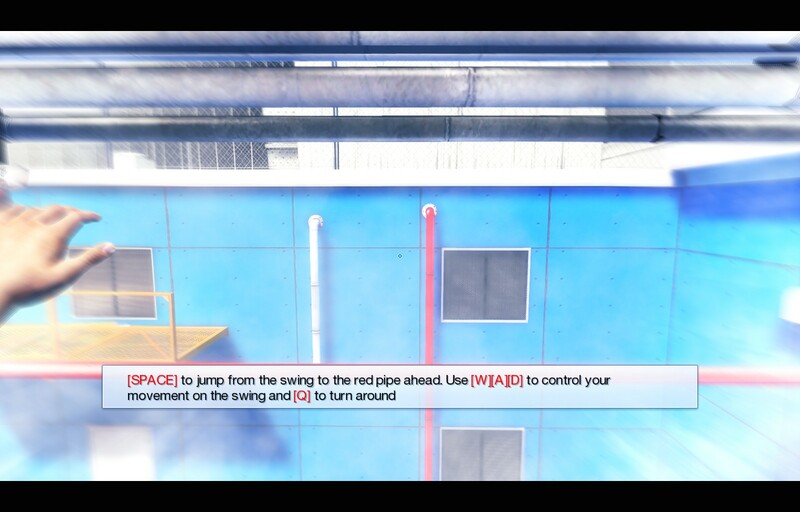 A must play, at least to experience a different gameplay style. 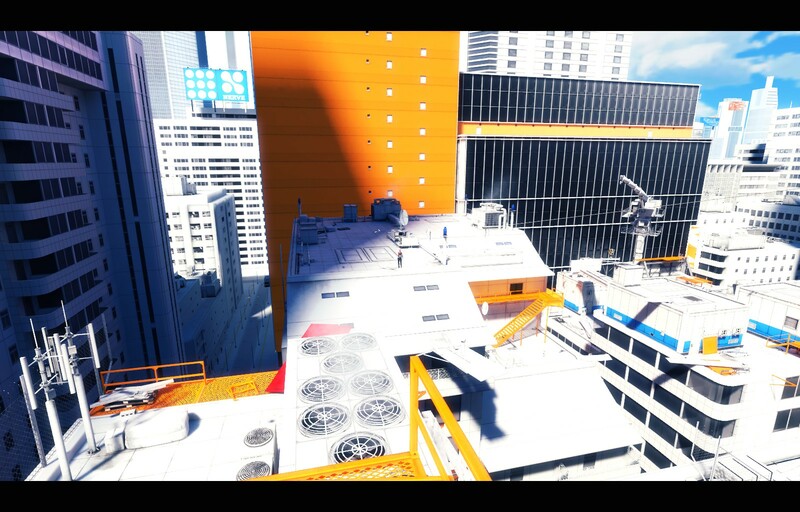 Have you played Mirror’s Edge? 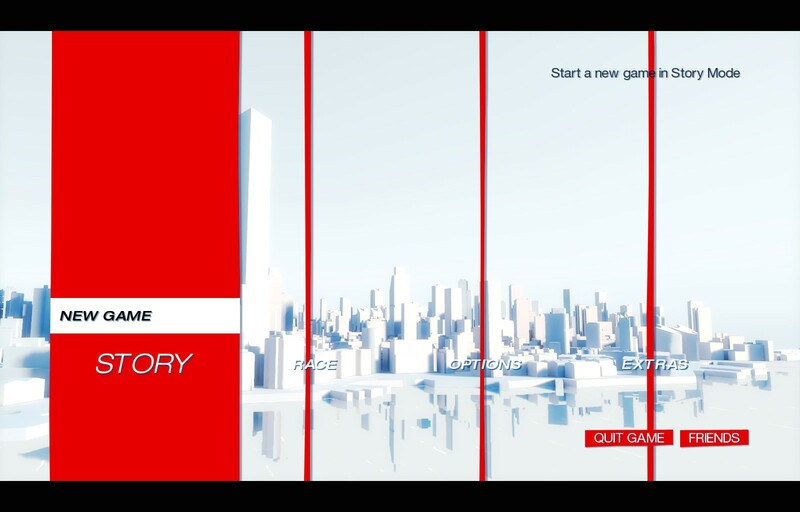 What about the more recent Mirror’s Edge Catalyst? 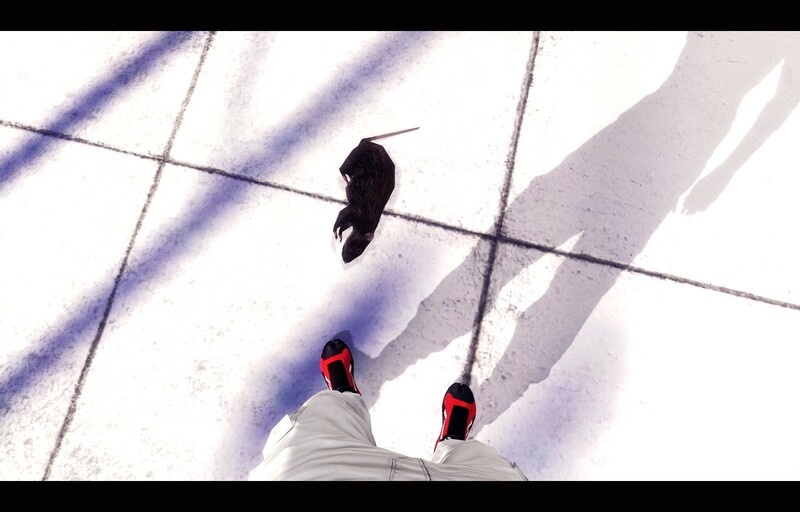 Is Freerunning a gameplay style you’d like to see more of? As ever, share your thoughts and opinions below, or over on Facebook and Twitter. 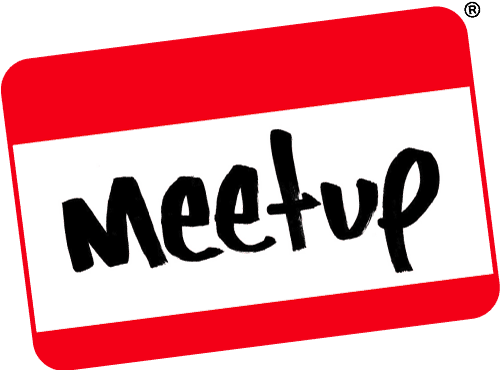 This entry was posted on November 26, 2017 by Timlah. 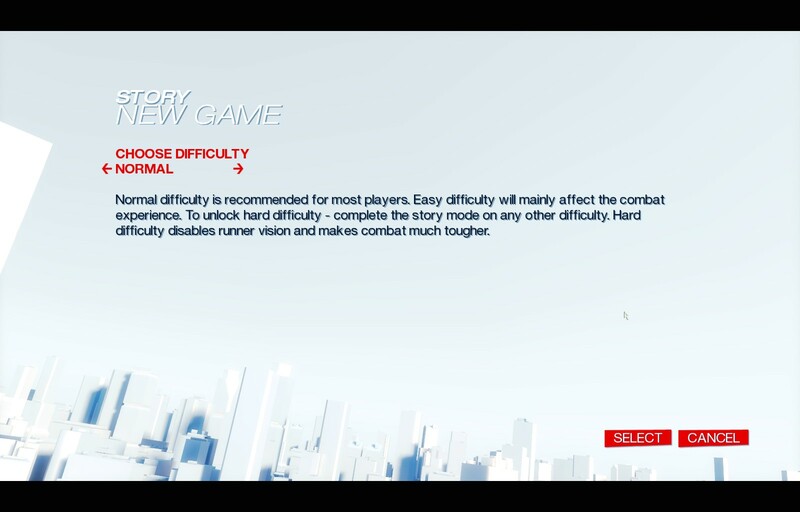 It was filed under Gaming posts, Reviews, Video Games and was tagged with 2009, EA, EA Games, freerunning, Freerunning video game, Mirror's Edge, Mirror's Edge 2009, Review Mirrors Edge, running on rooftops, video game review.